When the weather gets warm and summer rolls around, nobody wants to stay indoors. 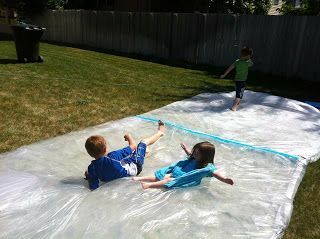 So set up your backyard as the most fun place to be using some creative ideas you and your family will love. You don't have to spend hundreds on oversized outdoor toys or chairs to enjoy the warm weather. Just get creative with these ideas! 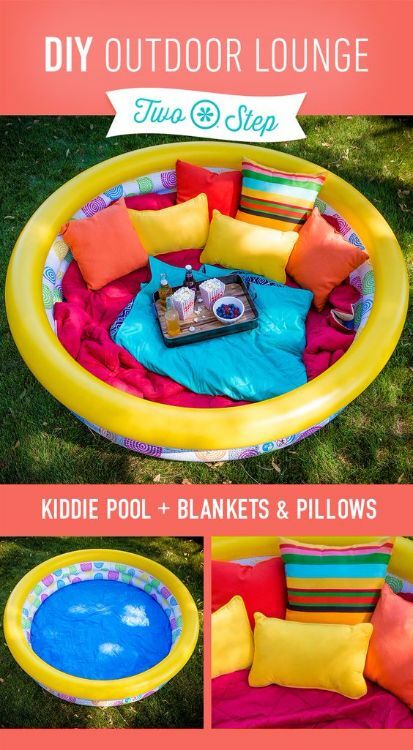 Turn an inflatable kiddie pool into a sweet spot to relax when you toss in pillows, blankets and, of course, plenty of snacks and drinks. This fun idea is perfect for kids and grownups! Grab some wood and cinderblocks to make a cute, casual spot to sit on your patio or porch this summer. 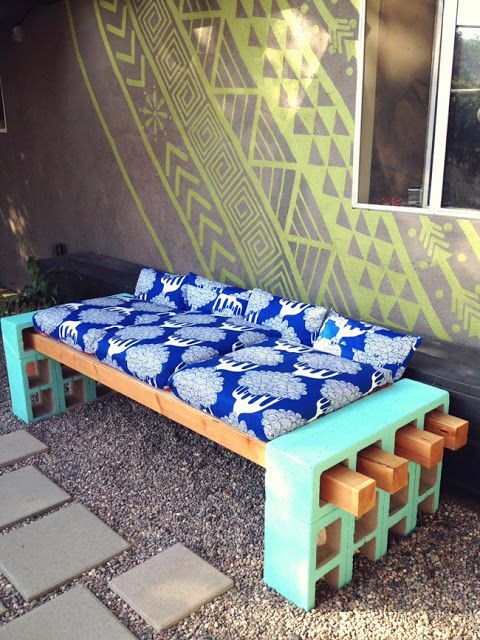 This super-easy DIY is affordable and creates a custom, one-of-a-kind couch. Kids will have a blast playing with this oversized xylophone, and it looks really cool, too. 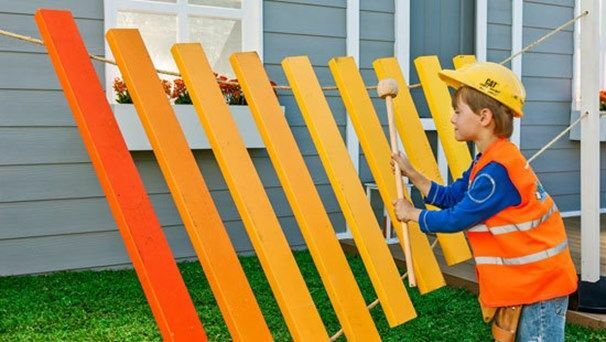 Colorful and bright, this DIY will bring all the kids in the neighborhood to your backyard for some musical fun. There's nothing like watching a movie on the big screen, drive-in style — especially when you can do it right in your own backyard. 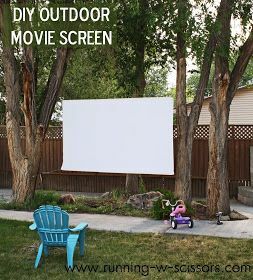 Set up some chairs, pop some popcorn, and enjoy your own private cinema with this fun DIY. 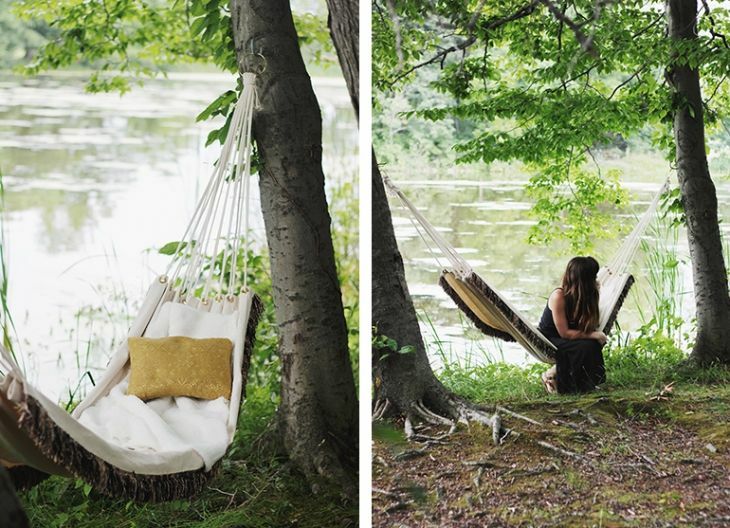 Skip buying overpriced hammocks at retailers; make your own custom napping spot and hang it under a cool, shady tree for warm-weather naps. Love the look of a pergola but don't have the money to buy one? 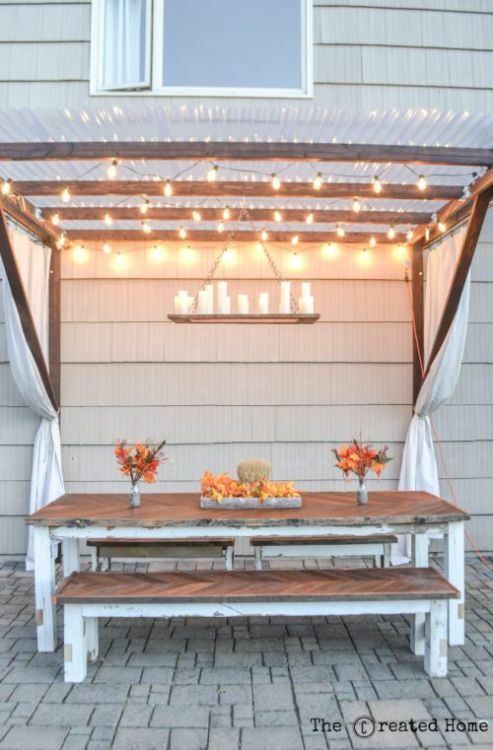 Craft your own, and relax under a lighted canopy that's great for summer meals al fresco. 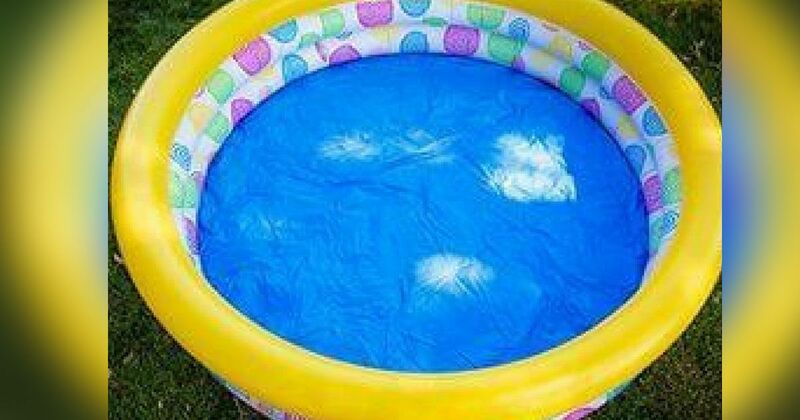 A fun alternative to the outdoor pool, this huge outdoor waterbed is a blast for kids to slide around on, lay on, and simply have a great time playing on. Cheap and easy to make, this backyard DIY will be a huge hit with little ones. When guests come over during the summer, you typically pull out those gray metal chairs to accommodate everyone. Let's face it: They're ugly! 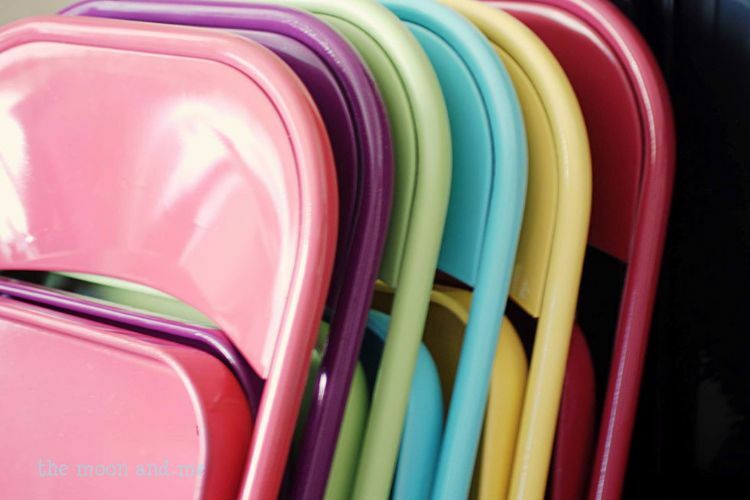 Give them a makeover with bright spray paint and get excited about those basic chairs. 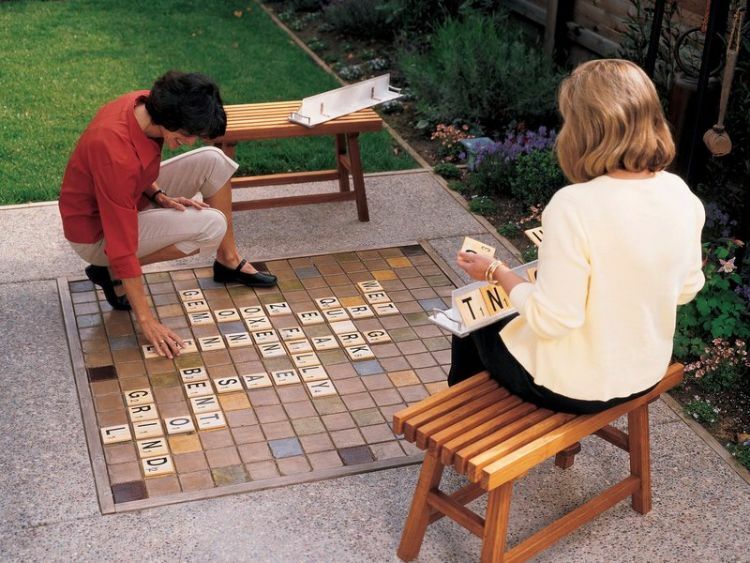 Everybody loves Scrabble, and it's a great game for all ages. Instead of bringing the board outside, create a cool oversized backyard version. Feeling handy? 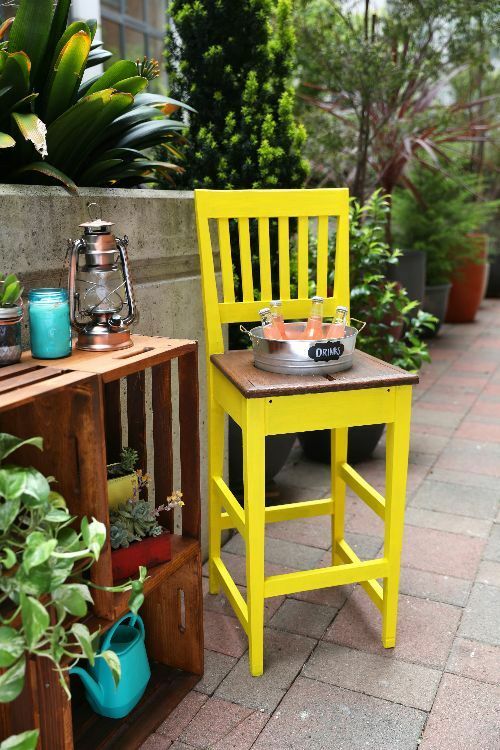 Tinker with tools and create an outdoor chair that features a built-in cooler. Not only is it the perfect outdoor decor piece, but you also can keep beer, soda and water cold inside the integrated cooler. Get the full tutorial here.